I’ll admit it–it’s been a bit hard to get back into the Alaska groove after spending so much time in sunny Arizona, followed by a month with family back in Philly (where temps reached 85 degrees). As much as I love Alaska, Anchorage doesn’t get much sunshine. In fact, we average 126 sunny days a year (which comes out to about four stingy months). The rest of the time it’s cloudy. Even in the summer it’s cloudy, though the long summer twilight, which stretches out past midnight, almost makes up for the lack of sunshine. So yeah, I was feeling a bit down this past week, a bit sunshine deprived, a bit shell-shocked by the cloudy skies and the weather (there is still snow on some of the running trails). 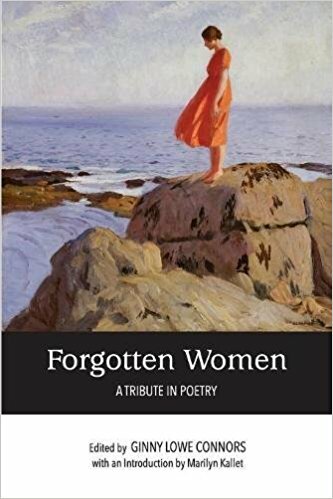 Edited by Ginny Lowe Connors, the collection includes work by established and well-published poets, and even a few Poet Laureates, and I’m honored to be included. In fact, I almost didn’t submit because I didn’t think I had a chance in hell of having work accepted. So let this be a lesson to all those reading: Don’t underestimate yourself, or your writing or your art or your passion or whatever it is that fuels your desire to make your voice heard in this beautiful yet fucked-up world of ours. So life rocks, at least in the poetry sphere. 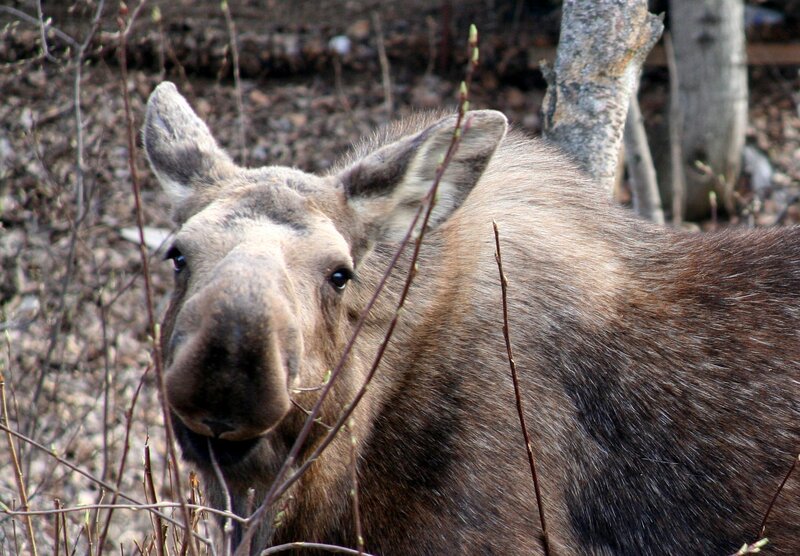 Then today I saw four moose, one while running (it was eating brush on the side of the trail and I swear I passed by so close I could have reached out and touched its long and ridiculously endearing nose). The other three I saw while walking the Coastal Trail with my partner and Seriously. P.S. The neatest thing happened on Thursday. 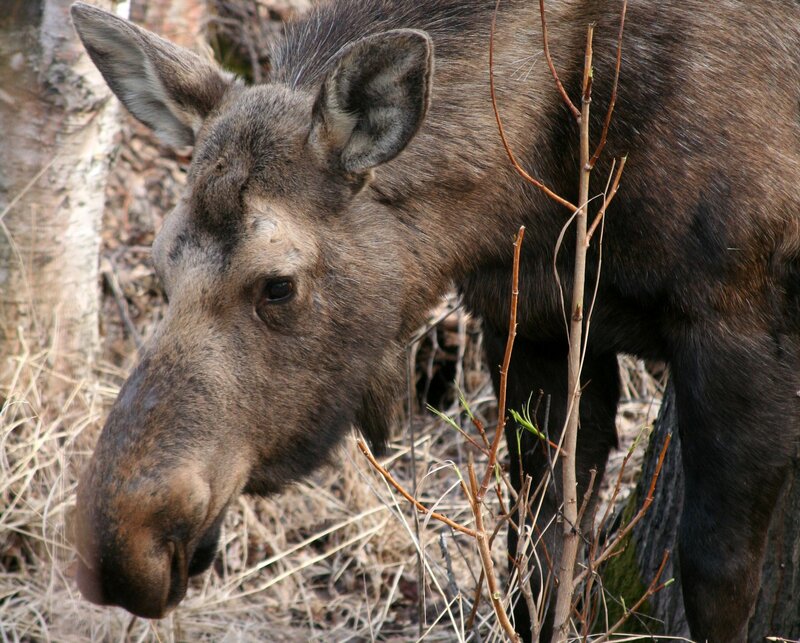 I was sitting out on the front steps reading when a moose walked by on our road, just casually walking with that slow, knobby-kneed strut particular to moose. Then it turned into our driveway and walked up the sidewalk, as if coming for a visit. It was so cool. I shooed the dog and myself inside and watched as it veered off toward the side yard. By the time I grabbed my camera, it was gone and I’m kind of glad, too, because shooting a photo would have taken me out of the moment, and I loved being in that very small moment with that very large moose. Yes. Sometimes, experiencing the thing is far better than capturing it with a camera. Rita thinks like a moose! Or maybe, a moose thinks like Rita? Whatever the case, it is kind of cool to see animals “choose” us by turning up walkways. 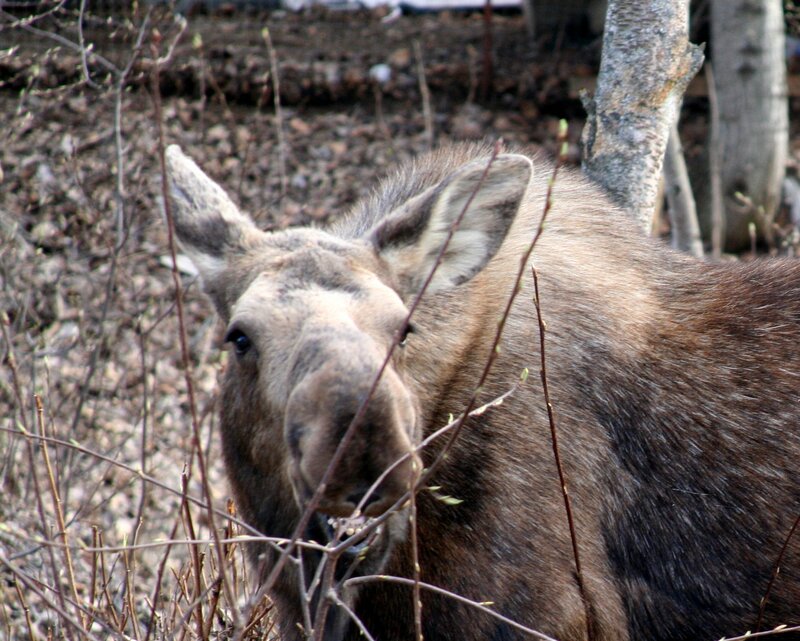 Not sure if the moose thought I was good people or that it just wanted the good buds on the good trees, hee, hee. Cheers and pets to Rita (Seriously is right here beside me, blissed out from a trail run and lots of good chow).